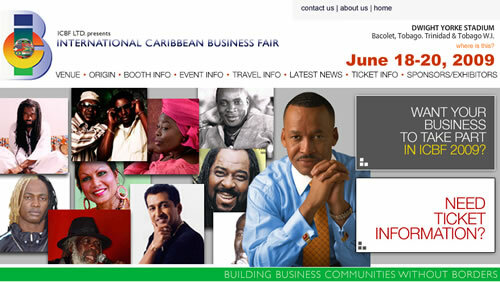 The International Caribbean Business Fair (ICBF) 2009 will allow Caribbean and International businesses the opportunity to showcase their products and services to the mainstream Caribbean consumer community, while giving our noted speakers and entertainers a platform to carry forward informative messages and display their creativity. This is a three day event geared towards Business to Consumer relationship building and fostering stronger understanding of the various cultural habits and business practices. This will be achieved through onsite exhibits, workshops, seminars, trading opportunities, food, Art and craft and music.